#2 – The #1 rule to remember is that coaches MUST see you play in order to be interested in recruiting you, either in person or on film. If you don’t have any offers and nobody has come out to see you play, your main goal is to get coaches to evaluate your film. #4 – Talk to your prep coaches and see if they would be able to call some schools for you. What level do they think you would be able to play at? Do they know any college coaches who are at that level who may be able to give you a quick evaluation? Would your coaches be willing to make some cold calls for you? #6 – If possible, try to evaluate which school lacks depth at your position. Recruiting decisions are based on timing, it will be difficult to get your foot in the door at a school that is stacked at your position. Coaches are much more likely to evaluate your film if they are in need of a player just like you. #7 – Would you consider starting at a Junior College and transferring to a Division I or II school in a year or two? Many Division I and II programs put effort into scouting Junior College programs! 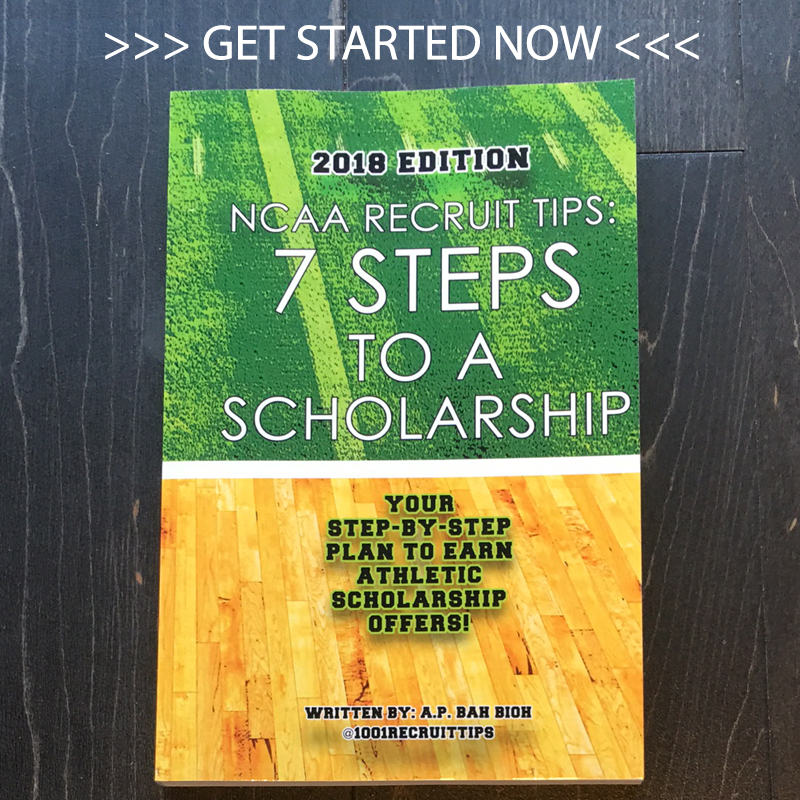 #8 – If you have no scholarship offers would you be interested in joining the team as a walk-on and work to secure non-athletic scholarships or student loans? #9 – Register with the NCAA Eligibility Center if you haven’t already. It is a MANDATORY step, and a sign of maturity to coaches that you’ve already begun the process. #10 – Get a copy of your unofficial transcript ready as well as your SAT/ACT scores. Once coaches are interested in you, the next step will be to evaluate if you can qualify academically.